A high credit score can be a great help. It will get you a lower rate of interest on your loans. In addition to this, your loan application will get approved faster and the amount that you are eligible for will also get a boost. A FICO score can be anywhere from 300 to 850. While a score of 680 or more is considered respectable, you will get the best interest rates if yours is in the 740+ range. How can you ensure that your score is in the upper range? Your credit score is based on the information in your credit reports. There are three credit bureaus – TransUnion, Experian, and Equifax. The information they put on your report is broadly the same, but could differ. Lenders provide data to credit bureaus about each of the accounts that you have established with them. The information includes the type of account, the date that you opened it, your credit limit or loan amount and your payment history. Your credit payment history determines 35% of your credit score. A couple of late payments may not impact your score adversely, but consistent delays will definitely pull your score down. Track your payments and ensure that you meet each of your financial commitments on time. If you tend to miss making payments on time it may be a good idea to schedule automatic payments from your checking account. You can do this for all the bills that you need to pay regularly, including your mortgage, rent, credit card, and utilities. Every payment that you make on time helps to ensure that you maintain a high credit score. Don’t assume that what is printed on your credit report is the gospel truth. There are very real chances that there is an error on the reports that Experian, Equifax, and TransUnion issue. In a study conducted by the Federal Trade Commission in 2012, it was found that 20% of consumers had an error in at least one of their credit reports. Remember that under the Fair Credit Reporting Act, you are entitled to a free credit report once a year from each of the three credit bureaus. Use this facility to access your reports. Don’t ask for all three reports at the same time. If you space out your requests, it will give you the opportunity to carry out a check every few months. You may have made a payment to your credit card issuer on time, but your credit report could be showing it as a late payment. There could also be a situation where your mortgage lender may have erroneously sent the wrong information to the credit bureau. There are a number of mistakes that can show up on your credit report. The most common one is an identity error. Your account details could be mixed up with someone else. Even worse, you could be a victim of identity theft. If you don’t spot this at an early stage, getting your credit report cleaned up could take a great deal of time. Bear in mind that it is not necessary that the same error appears in the credit report of all three bureaus. You need to check each of them periodically. As soon as you see a mistake in your report, raise a dispute at once. You could do this the old-fashioned way by writing a letter to the credit bureau and enclosing copies of all relevant documentation. But it is easier to raise the issue online. All three bureaus - TransUnion, Experian, and Equifax offer this facility. Once the credit bureau receives your request, they will refer it to the data provider or information source for verification. The normal time period for this process is 30 to 45 days. If the data provider or source does not reply within the stipulated period, the information will be removed from your credit report. On the other hand, if the details are confirmed as correct, the damaging information will remain. While the investigation process is on, it is advisable not to apply for new credit as your credit report and FICO score will contain errors during this period. While it is simpler to raise a dispute with the credit bureau, you also have the option to contact the lender or information provider directly. Keep a copy of your correspondence and monitor the progress of the corrective action. In some cases, this could help you get your credit record corrected sooner. There could also be a situation where you made a genuine mistake. You could have forgotten to pay your credit card renewal fees. Your credit card company will report this as a default to the credit bureau. But if you have the card for many years and have a good payment record, you can ask the card issuer to inform the credit bureau to remove the entry from your credit report. It is very likely that they will agree to your request. Maxing out your credit card limits will have a negative effect on your FICO score. Keep your credit card utilization ratio in the range of 30% to 40% as this will help your score. Finding it difficult to pay back the outstanding balances on your credit cards to bring your utilization down? There is a simple solution to this. Ask your card issuer to raise your limit. If you have a good repayment history and meet their eligibility criteria, your request is likely to be accepted. You could also get a new credit card. The limit on this card will be added to your overall limit, leading to a lower utilization. Don’t ignore this point as 30% of your FICO score depends on the total of the amounts that you owe. Do not make the mistake of canceling your old credit cards. It is important to keep your old credit cards, even if you have new cards that offer better reward points or other facilities. This is because 15% of your credit score is based on the length of your credit history. The age of your oldest account plays a major role in this. In addition to keeping the card live, it is essential that you use it as well. A non-active card will not help to raise your credit score. According to FICO’s data, a person who opens a number of new accounts in a short period of time is more likely to default. Try and avoid doing this as it will adversely affect your score. This precaution is especially relevant if you do not have a very long credit history. What if your score is poor because you have delayed payments in the past? It is possible to gradually rectify this by paying on time consistently. The older your earlier delays, the less impact they have on your credit score. But remember, it is a painstaking and time-consuming process. There are no shortcuts to a better credit score. On the other hand, if you keep tabs on all your accounts, and pay on time, there is no reason why your score should not improve. A high score is helpful in many ways – A score in the 700s will not only get you better interest rates on your loans, it will provide other benefits too. For one, many employers check your credit score before offering you a job. 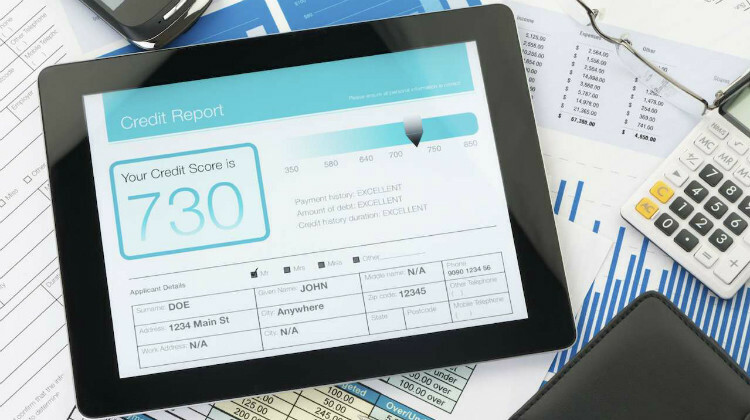 While some states prohibit this practice, the federal Fair Credit Reporting Act allows employers to consider credit reports in their recruitment process. This means that an employer in a state that does not ban this practice may use your credit report to decide whether you are a suitable candidate or not. You can get great savings on your insurance rates if you have a high FICO score. Again, several states ban this practice, but most do not. Why should an insurer care about your credit score? Apparently, their research shows that individuals with poor credit scores are high-risk. They are more likely to file an insurance claim. When you move into a new house, it will be simpler for you to get your water, phone, gas, and electricity connections if you have a high credit score. If you have bad credit you would need to provide a guarantor who is willing to pay your bills if you default. Renting a house will become easier if your FICO score is in the upper range. Your landlord will be assured that you will pay your rent on time. A low score may make it difficult for you to rent a house. It is also possible that if you have poor credit, you may need to pay a higher rent. A little effort on your part to maintain a good credit score will give you immense financial benefits and make life easier in many other respects too.